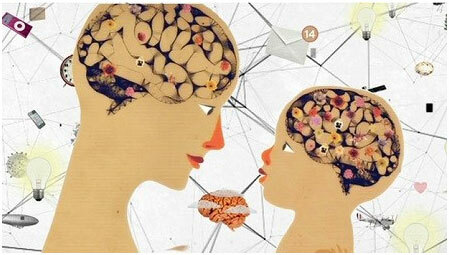 Neuroscientists and developmental researchers are contributing valuable insights about how children learn. The Center on the Developing Child at Harvard University is documenting how critical early childhood experiences prepare children for successful lives. Much like the Marshmallow Test of decades ago, children who demonstrate “executive function” and “self-regulation” have greater success in school, in relationships and for lifelong health. The exciting news from Harvard Center is that “brains are built, not born”. These cognitively high functioning, socially adaptable and emotionally resilient brains are not built from flashcards; they are built from active engagement in real world situations. Brains, like athletic muscles, need exercise and practice to grow. The three skills that the Harvard researchers find essential to building strong brains are: inhibitory control, working memory and mental flexibility. An example of these skills, from the Harvard video Executive Function: Skills for Life and Learning, is a child learning to take turns. The child must stop and let another take their turn. The child must then remember what it is he was doing when it’s time for his turn. And throughout the experience, he must be prepared for something unpredictable and adjust. Recognizing that these skills are built not born in children, we can look at all the ways we teach and support these skills in every day ways. •	Play I’m going on a Vacation and I’m Taking Memory Game (or to the grocery store, to the beach, to grandma’s, etc). Note: Three year olds are better than parents at this! •	Ask open ended questions daily – what else can we do to make it better? Is there another way to do it? What would happen if ____? Real learning is exciting and unpredictable, preparing children to think and act in a world we haven’t seen yet. The neurologists believe children’s brains must work like air traffic controllers – managing lots of airplanes on multiple runways with exquisite timing. Yes, they will still learn to read, write and do arithmetic. But let’s prepare them to take those skills and fly!